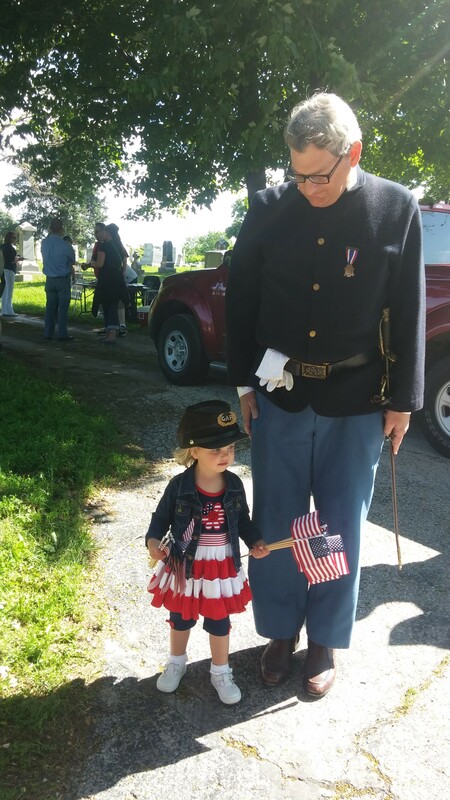 Prospect Hill Cemetery is one of the oldest cemeteries in Omaha.The Prospect Hill Memorial Day Program recognizes both fallen service personnel and early prominent Omaha citizens. 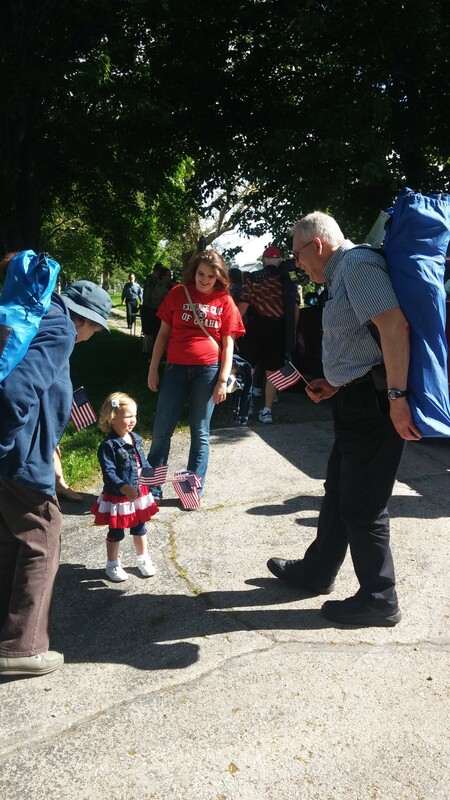 Memorial Day services are held each year, with special music provided by the Prospect Hill Preservation Brass Ensemble (including our own Exchangite, Don Swaggard, playing the French horn!). Boy Scouts lead the Pledge of Allegiance, re-enactors in Civil War-era uniforms present the colors, a 21-gun salute is held, and there is a tribute to local businesswoman (Omaha's famous "Madam") and benefactor Anna Wilson. 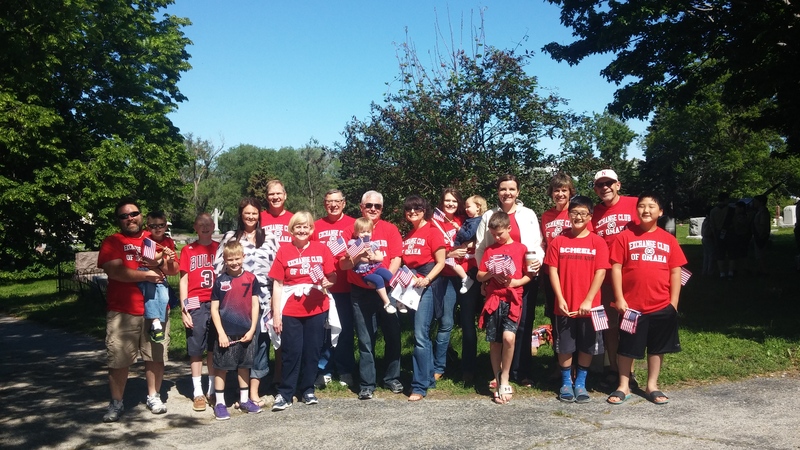 Since 2007, The Exchange Club of Omaha has been proud to be part of the celebration, handing out American flags to all those who attend. Below: Future Exchangites volunteer, as well! 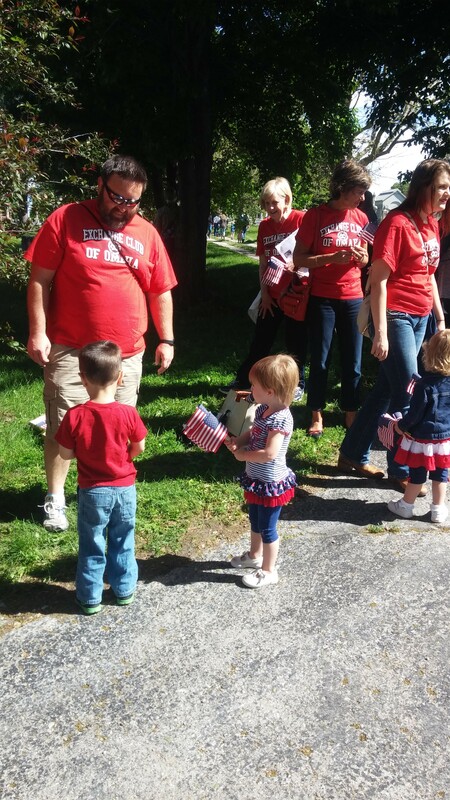 Exchangites Tom Prohaska, Kimberly Swassing and her daughter, KayLynn, Sandy and Tom Hellisgo, DJ Jacobberger, Lee Handke, and Michael Pelowski and his wife Judy provided flags to attendees at the Program. Exchangite Don Swaggard plays in the band at the program.